The Small Business Alliance's primary focus is fostering the growth and success of Delaware's small businesses. Making up more than 80 percent of the State Chamber's membership, small businesses are an important voice to the Chamber's yearly agenda. The committee serves Delaware businesses of fewer than 150 employees by providing leadership in legislative advocacy. Together the DSCC and SBA work to ensure the business climate in Delaware is conducive to the support of existing and newly created small businesses in a dynamic economy, safeguarding their long-term competitiveness and the retention of private-sector jobs. In conjunction with Bank of America Small Business Banking, the Small Business Alliance provides access to the Small Business Community. Through this relationship, Chamber members and member employees will have access to an online resource for expert insights, insider tips, and the industry knowledge you need to see your business grow. Click here to visit the Small Business Community. 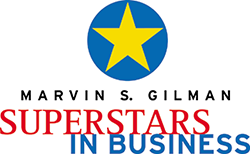 The Marvin S. Gilman Superstars in Business awards program recognizes and celebrates small business excellence at an annual luncheon. Winning companies gain enormous visibility in the community upon winning this award. The Chamber also publicizes winners in its award winning Delaware Business magazine, through press releases and throughout the state with Superstars on the Road. Find out more about our Superstars in Business awards program. Small Business Day in Dover brings small business owners to Legislative Hall to attend a Delaware House Small Business Caucus meeting and to discuss legislative issues around small business. The day emphasizes the importance of getting to know not only the legislators representing the district in which you live but also the legislators that represent the district in which you work, because the strongest voice in Legislative Hall is yours. ​​​For more information about the Small Business Alliance, please contact James DeChene. Healy Long & Jevin, Inc.